10 pack of 27SF512 chips. 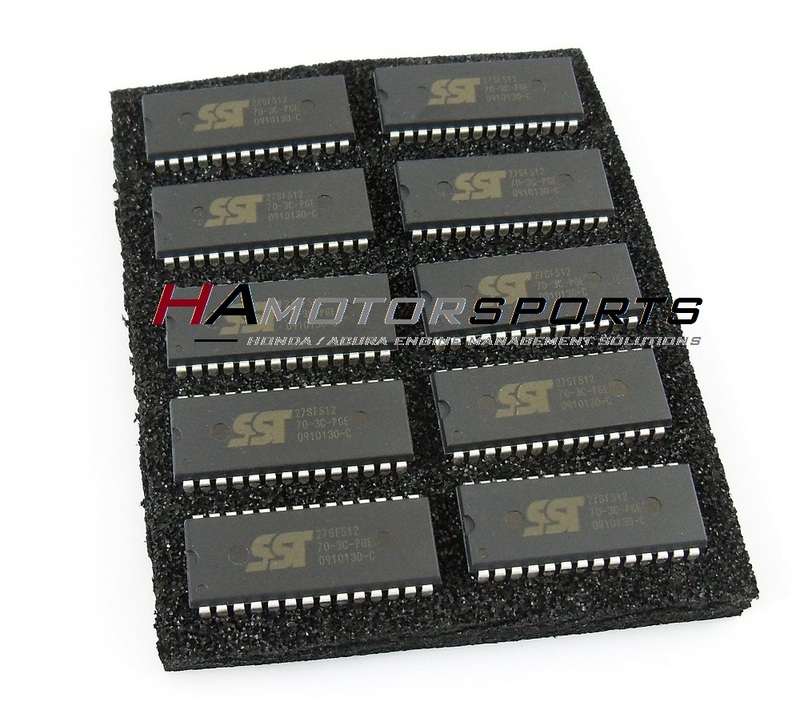 The 27SF512 is the perfect Eprom chip for Honda ECU boards. These blank chips will allow you to program your tune over and over to the same chip as needed. This chip is large enough to load two 256k rom programs onto each chip. Requires a chip programmer capable of programming 28 pin EEprom chips like the Moates BURN2. Fits all standard 28 pin DIP sockets or 28 pin ZIF sockets.